In its latest update that was released on Monday, 15th December, 2014, Wall Street upgraded Exxon Mobil Corp (NYSE:XOM) from its ‘Underperform’ status and elevated it to ‘Market Perform’ category. As a result of this upgrade, the price target was also revised from its current levels of $85 to $95, thus rendering it an attractive option for investors. The list featured several other well known stocks too, the intention being to keep the investor appraised of the latest situation and devise his trading strategy accordingly. CNBC called on its panel Stephanie Link, a ‘Fast Money’ trader, and Nili Gilbert, co-founder of Matarin Capital, to discuss this update pertaining to Exxon Mobil Corp (XOM). On being asked to explain why Exxon Mobil was positioned better than others in its niche and hence was more expensive, Stephanie claimed that it was owing to the company’s strength in downstream business. Now that it had been upgraded and the bar per share increased, it was definitely poised higher than its competitors, many of whom seem to be relying on self-help. Nili Gilbert, on the other hand, was more conservative in her approach and regarded Exxon Mobil Corp (NYSE:XOM) as one of the several options in the energy sector. She emphasized on the importance of spreading the investment over multiple baskets as also the need to maintain balance in the portfolio. From an investor’s perspective, it is not always possible to acquire a value stock because it might already have embarked on an upward swing and touching its all-time high, thus curtailing the opportunity to earn a substantial profit. To this effect, a good stock is definitely attractive when it is poised at lower levels and is labeled as a ‘BUY’ by a rating service. 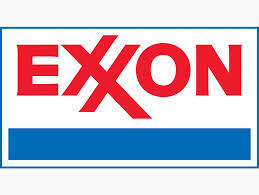 Exxon Mobil Corp (NYSE:XOM) is at such a position now wherein it is positioned at $86 levels and is expected to rise up to $95 in future and hence attractive for investors.